Exercise your lateral thinking skills with this fun and frantic card game! Place your cards down by "linking" them to the cards on the table (for instance, you might set a card of a kite on top of a violin card by saying "a kite and a violin both have strings") and the first person to get rid of all their cards wins. You may be surprised at some of the connections you form - but just don't stretch the connection too far, or your opponents will make you pick up more cards! 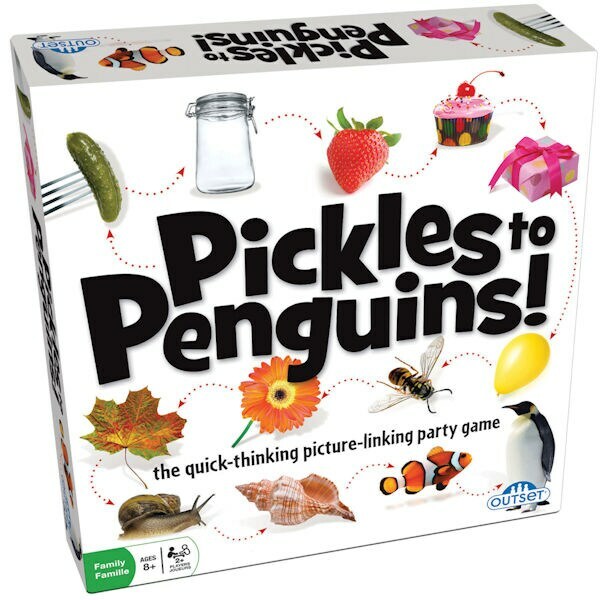 The fast-paced, hilarious game is good for two or more players (ages 8 and up), and includes 528 double-sided cards for endless possibilities, so you'll want to play it again and again!